We all know missing teeth don’t look the best, but the unseen effects on your smile can be even more detrimental. Dental implants are the ideal dental restoration to protect gum tissue and jawbone density. Even if teeth are replaced traditionally, the gums and bone below remain susceptible to degradation without the supporting root structure, but with dental implants, gums and jaw receive the support and stimulation necessary for healthy tissue growth and retention. Keep reading to learn more about dental implants in Orlando! Are you ready to replace your missing teeth with dental implants? Head into the procedure with confidence. Your treatment consists of multiple phases to ensure the long-term success of your smile. After a thorough consultation, your posts are placed in their ideal location to create a secure foundation for your replacement teeth. Your restorations are crafted to create a natural-looking appearance. Dental implants offer a number of benefits for many patients. Some of the most significant advantages are detailed below -- which would you enjoy the most? Comprehensive: Because dental implants give you back the missing tooth as well as its supportive root, patients can achieve the ultimate in strength and stability in tooth replacement. Improved health: By stabilizing the jaw bone, dental implants promote oral health and also prevent the loss of additional teeth. Nutritious diet: Dental implants make it easy to eat nutritious food for a healthy, balanced diet. Highly successful: Dental implant procedures have a success rate of over 98%. Esthetics: Nothing looks more natural than dental implants. No damage to surrounding teeth: Unlike with traditional means of tooth replacement, dental implants do not require the alteration of the surrounding teeth. Long-lasting: With proper care and maintenance, dental implants can be expected to last a lifetime. Dental implants can replace any number of missing teeth. The indications are listed below. A patient who has lost just one tooth can benefit from a single dental implant. The supportive implant post is placed beneath the gum, which a dental crown will restore later on. This method does not alter the surrounding teeth, as is necessary with a fixed bridge. A fixed or removable implant-supported bridge or partial denture can be used for patients who have lost more than one tooth. 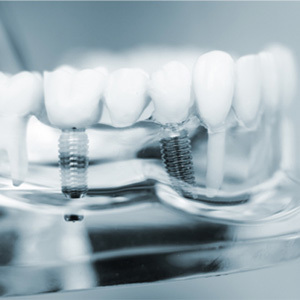 One to two dental implants can secure a three-unit bridge. For patients who have lost all their teeth, dental implants can retain a complete denture to promote easier eating and speaking. A strategic number of implant posts will be used for maximum effectiveness. 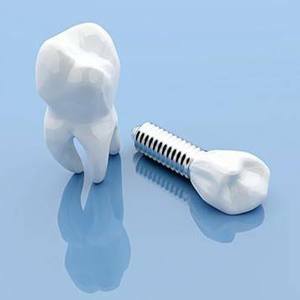 Mini dental implants can also help to secure a loose existing denture. 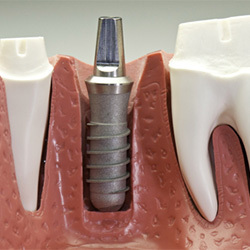 Surgery: Dental implants are placed over the course of 2 phases. The first involves a surgical procedure in which the posts are placed. Abutment: This piece restores the top of each implant post and attaches the crown, bridge, or denture to the jaw. 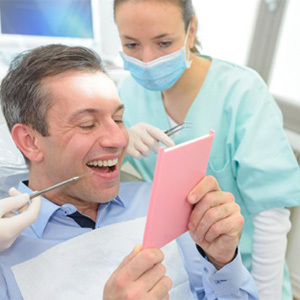 Restoration: The type of restoration you receive will influence the cost of the treatment. Porcelain materials look natural and are more expensive. A single crown may be less expensive than a complete prosthetic. There is no fixed price for dental implant procedures. We invite you to book a consultation with your dentist in Orlando to get a better idea of what you should expect to pay! For loose denture retention, we insert mini dental implants to help secure upper or lower dentures so they can stay in place when eating all your favorite meals. There is no need for sedation or flap surgery. The procedure takes less than an hour and you can usually eat solid foods with your denture the same day. For some dental implant placement procedures, your dentist will need advanced technology to ensure precision and success. With guided dental implant surgery through cone beam technology, Dr. Maali can create a 3D, digital map to indicate precisely where each implant post should go and then insert it with helpful guides for maximum success. This method is reserved for patients with complex needs -- like those who have lost lots of bone tissue or who are undergoing full mouth reconstruction.